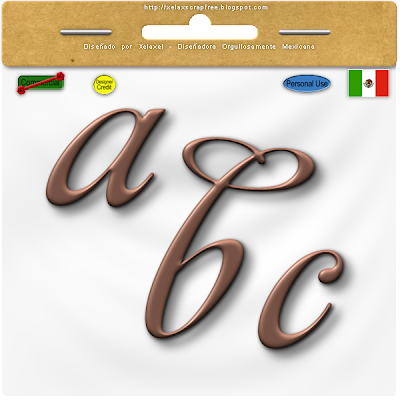 Aquí un lindo y decorativo alpha, letras minúsculas, formato png, bájalas pinchando sobre la imagen. Thank you! Your blog post will be advertised on the DigiFree Digital Scrapbooking Freebie search engine today (look for timestamp: 20 Jan [LA 08:50pm, NY 11:50pm] - 21 Jan [UK 04:50am, OZ 03:50pm] ). Thank you! Your blog post will be advertised on the DigiFree Digital Scrapbooking Freebie search engine today (look for timestamp: 14 Jan [LA 10:50pm] - 15 Jan [NY 01:50am, UK 06:50am, OZ 05:50pm] ). Thank you so much for this Freebie. I want to let you know that I posted a link to your blog in CBH Digital Scrapbooking Freebies, under the Page 3 post on Jan. 15, 2010. Thanks again.